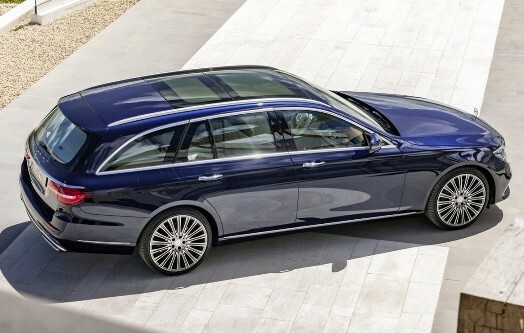 Here is the sixth generation of the Mercedes-Benz E-Class Estate. The German automaker recently announced the arrival of the new station wagon, five months after the debut of the sedan and launch in the European market scheduled for the second half. In addition to the onboard technology inherited from the conventional model, the news focuses on the internal space. The new E-Class Estate features a trunk with a capacity of 620 liters, a volume that can reach 1.820L with the rear seats folded flat. Over its predecessor, these figures represent a reduction of 25L and 135L, respectively. The rear seats offer 40:20:40 split and backrests tilt adjustment up to 10 degrees and can enlarge the luggage space by 30 liters. There is still the trunk lid with electric drive, just passing the foot under the bumper. In the list of equipment, the truck also offers rear self-leveling air suspension (able to keep the rear always horizontally, even when fully loaded), configurable instrument panel with a 12.3 inch display, adaptive cruise control, emergency braking, unlocking the doors and starting the engine without key, semi-autonomous driving with identification cards, among others. 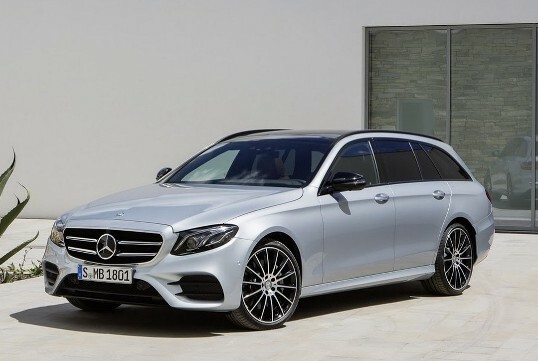 Outside, the Estate will be available with three diesel engines (2.0 of 150 hp at E200d, 2.0 of 194 hp at E220d and 3.0 V6 258 hp at E350d) and four stroke gasoline (2.0 of 184 hp at E200, 2.0 of 211 hp at E250 and 3.5 V6 of 333 bhp at E400), which also includes the sporty model E43 AMG, with a propellant 3.0 V6 f 401 hp and 53 Nm from 2,500 rpm, with 9G-Tronic nine speeds automatic transmission (the same as other versions) and all-wheel drive, which goes from 0 to 100 km/h in 4.7 seconds and top speed of 250 km/h.